Whether your Easter plans include bunnies hopping down the trail, baskets, bonnets or candy, chances are eggs may have a role. Coloring, hiding and eventually eating Easter eggs has been a long-held tradition for many families. For the happiest of Easter memories, follow these safety tips as the Easter season approaches. First, wash your hands and your working area thoroughly. Remember cleanliness at every step including cooking, cooling, and dyeing of eggs. It is important to refrigerate hard-boiled eggs if you won’t be coloring them right after cooking and cooling. Color only eggs with no cracks. 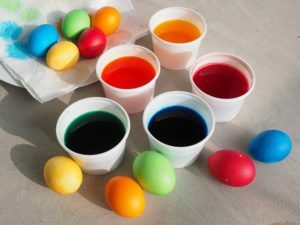 If any eggs crack during dyeing or while on display, discard them along with any eggs that have been out of refrigeration for more than two hours. If hard-boiled eggs are kept out of the refrigerator for over two hours, for decoration or hiding, discard the eggs immediately after use. 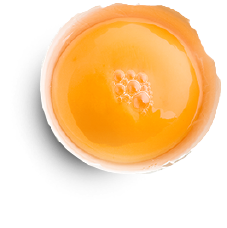 When shell eggs are hard-boiled, the protective coating is washed away, leaving the pores in the shell open for bacteria to enter. This is why hard-boiled eggs spoil faster than fresh eggs. Hard-boiled eggs should be refrigerated within two hours of cooking and used within one week. If you want to keep your decorated eggs on display for a bit longer, try emptying them and decorating blown out eggs. If you hide eggs, avoid areas where the eggs might come into contact with dirt, pets, wild animals, birds, reptiles, insects or lawn chemicals. To keep your Easter happy and safe follow these tips. But egg safety doesn’t end at Easter! Learn more egg safety tips at Egg Safety Center’s frequently asked questions and follow us on Facebook and Twitter.